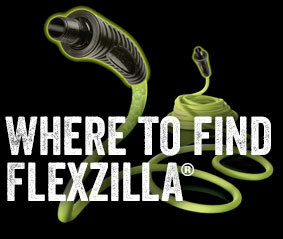 The Flexzilla® revolution continues with the Flexzilla polyurethane recoil air hose. 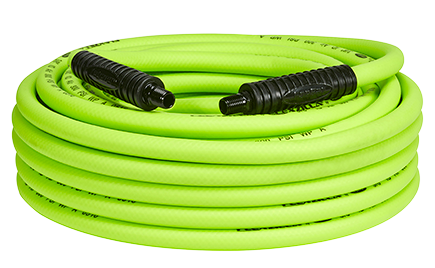 Flexzilla recoil air hose exhibits extreme, all-weather flexibility and outperforms nylon hose. Plus, with the field repairable fittings, damaged hose can be repaired quickly, using tools commonly available on the jobsite. 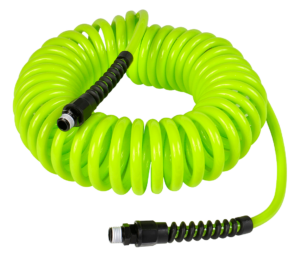 Flexzilla® Polyurethane Recoil Hose is available in a variety of lengths to meet all your needs.